All of us develop our identities within a social and cultural context. To a certain extent, that context influences to opportunities we have in life and our ability to express ourselves as we wish. Psychologist Uri Bronfenbrenner tried to capture the influence of the environment on people’s identities in what he called the Ecological Theory of Identity. In it, he tried to identify the various forces that shape the way we develop our sense of self. The word ecological refers to the field of ecology which means the relationship between a living object and the environment in which it lives. By using the language of ecology, Bronfenbrenner is reminding people that who we are, and what we do, is profoundly influenced by our physical and social environment. Humans do not live in isolation, and therefore our identities develop within an environmental context. 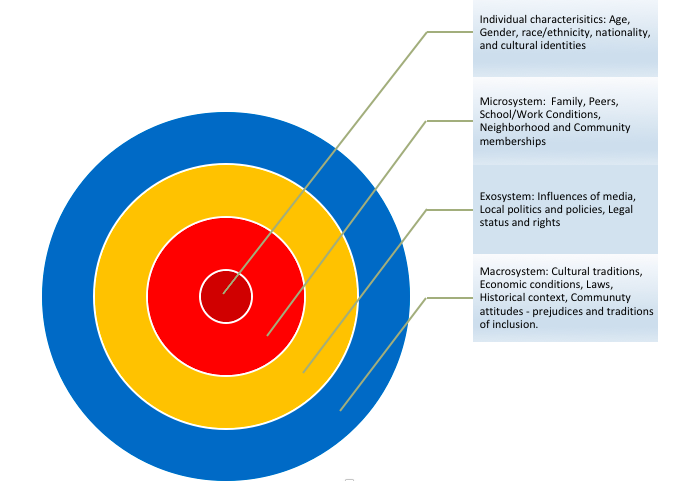 Below is a chart that identifies the parts of the human ecosystem that Bronfenbrenner highlighted. 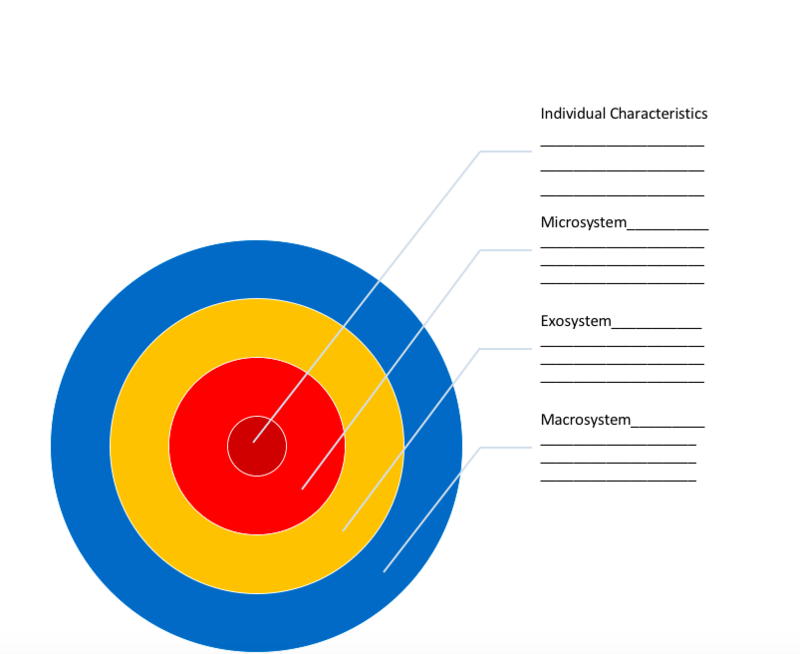 While different scholars have used different words to describe the details of the ecological layers in the chart and have emphasized different aspects of identity, the basic format has remained relatively constant. Identifying the way each layer of the ecological model relates to our identity is particularly helpful for exploring the ways that newcomers develop their identities in a new land because, they, or their family members, have recently transitioned from one social and cultural context to another. Therefore, the relationship between their identities and their environment has changed. Helping to isolate those changes can help to clarify the challenges of navigating life in a new land. 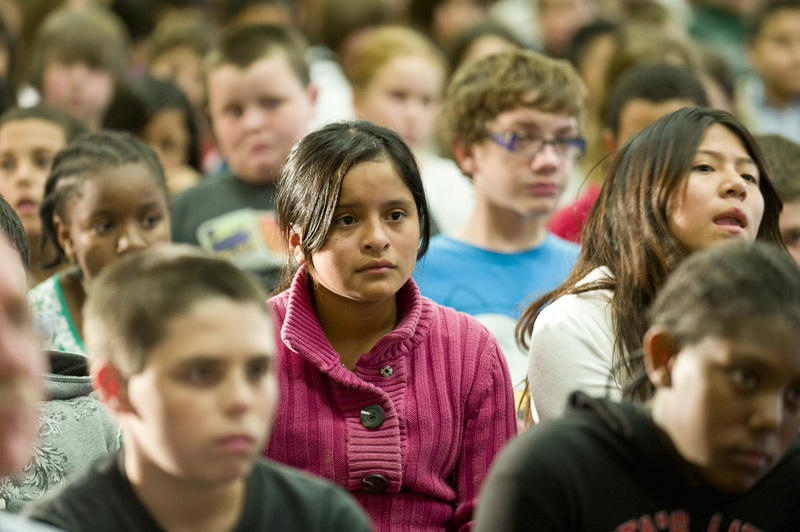 As is true for all children, the formative experiences of immigrant children will be shaped by reciprocal interactions between the child and their environment. The interrelated contexts of development within which children and youth live, shape their opportunities and have important implications for both educational and well-being outcomes. The degree to which students thrive will vary according to a number of factors including individual characteristics, their culture, the people they encounter and their environment over the course of time. Indeed, all children grow within cultural contexts that shape their future selves. Beyond using the chart for exploration with immigrant-origin students, the model can a wonderful tool for helping to understand the choices and dilemmas all of us face on a daily basis. It can be used as a tool of literary, social, and historical analysis. Educators might use this chart to encourage students to explore their own identities or to focus reflection on a character in a short story, novel, historical event, or a social situation. Below is a chart that identifies the various layers of Bronfenbrenner’s model and a blank chart students can use to reflect on their own identity or the identity of a character they are studying.